This week Frank recaps Prime Day, his selfish days in radio and the true side of going to therapy. He also talks about how he always says WE but usually means YOU. He talks about how Walgreens causes him anxiety and why people need manners. He talks about Daniel Tiger’s lessons, the mystery of him not wearing pants, and how his kids don’t follow the lessons. He also talks about snakes in toilets, Grandma’s yard, and more! 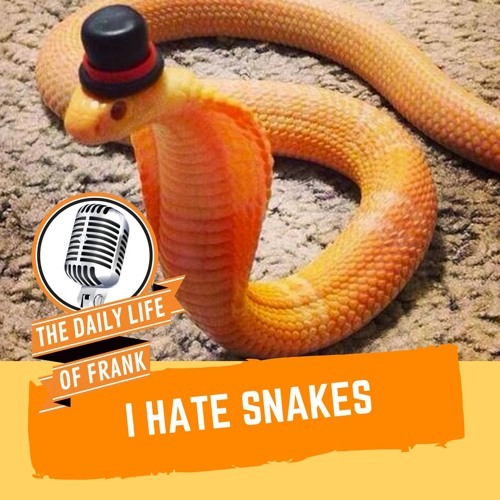 Users who like I Hate Snakes - It’s Episode 40 of The Daily Life of Frank! Users who reposted I Hate Snakes - It’s Episode 40 of The Daily Life of Frank! Playlists containing I Hate Snakes - It’s Episode 40 of The Daily Life of Frank! More tracks like I Hate Snakes - It’s Episode 40 of The Daily Life of Frank!